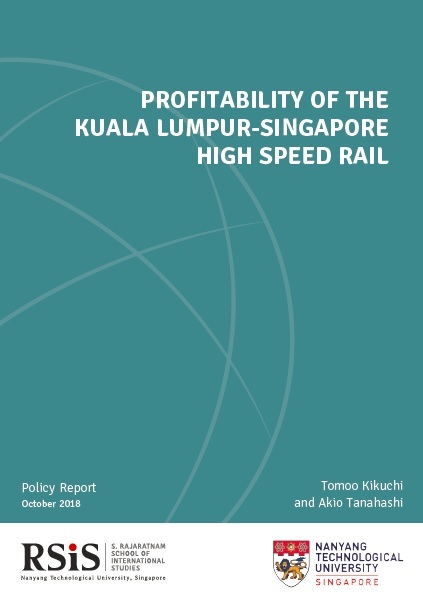 This paper analyses the profitability of the Kuala Lumpur-Singapore High Speed Rail (KL-SG HSR) based on the relationship between population density and profit margins of railway companies in several countries. For the KL-SG HSR to be as profitable as the Central Japan Railway Company (JR Central), for example, Kuala Lumpur will need to have a population of 20 million. Whether this happens or not, according to the rank-size rule, depends on the extent of regional economic integration and how urban agglomeration unfolds in mainland Southeast Asia.